Remember the old joke about a Sunday school teacher who asked her third grade class the question: "What is furry, brown, and eats nuts?" One little boy raised his hand and said, "I know the answer is Jesus, but it sure sounds like a squirrel to me!" I made a new friend recently, and he also has a squirrel story. Peter is a Scripture Engagement specialist. What exactly is a "Scripture Engagement Specialist?" In not so many words, it's a person who does whatever they can to get people to interact with the Bible on a regular basis using whatever means possible. Peter tells a story in his blog about a campaign done in the 1970s in Britain featuring "Tufty the Squirrel." Tufty taught kids about road safety…two million kids! Part of that strategy was a board game, which was played by those same kids. Those kids are now adults. Those adults still remember the game. 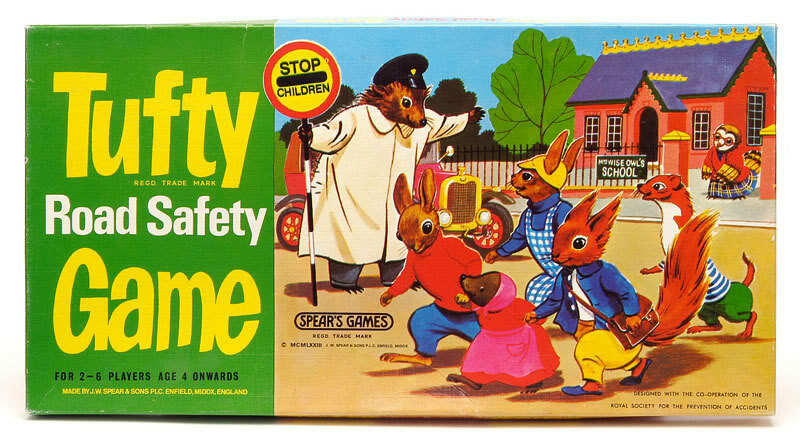 I would venture to guess that those adults still remember the road safety lessons they learned from Tufty. What's the point? Games. How do we create games that are not only fun, but are designed to make us think about and wrestle with Scripture. Games that make us want to play them over and over and share them with our friends. Games that drive us into the Scriptures to find the answers. Do you have any ideas for Scripture Engagement games? I would love to hear them.